A Gallery is the foundation of any portfolio website. 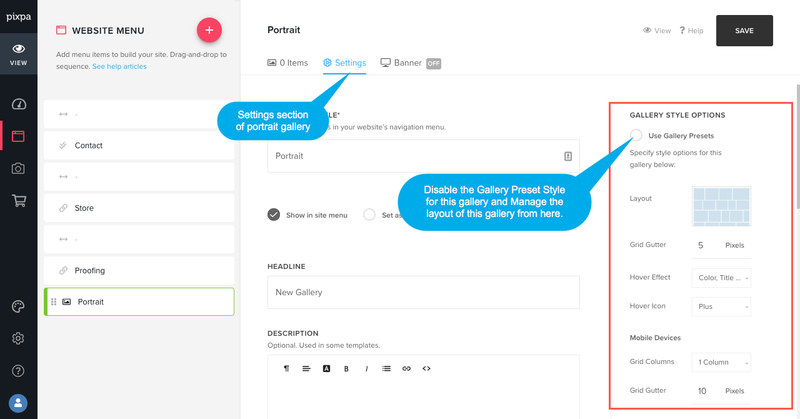 This article explains how to create rich media galleries in Pixpa. This will open up a screen which lets you choose the different types of menu items that you can add to your website. Click on the Gallery menu item. 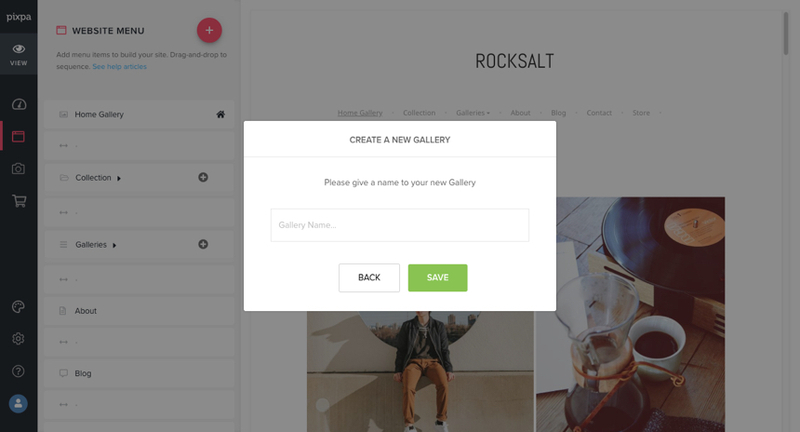 Specify a name to your new Gallery. That’s it. The Gallery is added now. You would see this in your website menu in the last. You can drag and drop the newly added Gallery to its correct position in the website menu. 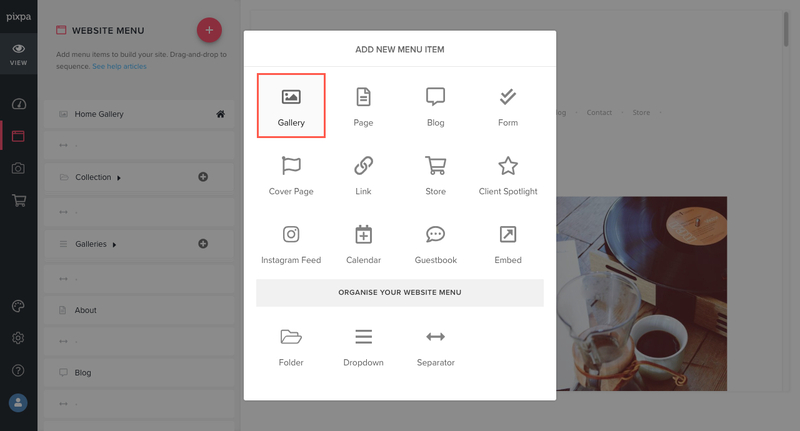 As you add the gallery, you would be able to add your items (Images, videos, and HTML slides), manage settings and enable the banner in this gallery. Click on “Add Media” button to add your images, videos and HTML slides. Know more. See total number of items in this gallery. Manage settings section of this gallery. Know more. Enable a full-width banner on this gallery top or bottom. Know more. What is my gallery layout and how to change it? As you add a gallery, the system would apply the preset style specified in the design section. You can manage your preset style from there which would be used in all your galleries. Click here to know more. In case, If you want to change/set the layout other the preset style for any specific gallery, then you need to disable the Use Gallery Preset Option in the settings section of that particular gallery. You would see all the layout related settings. Make the changes and hit save button to publish your changes on live site. 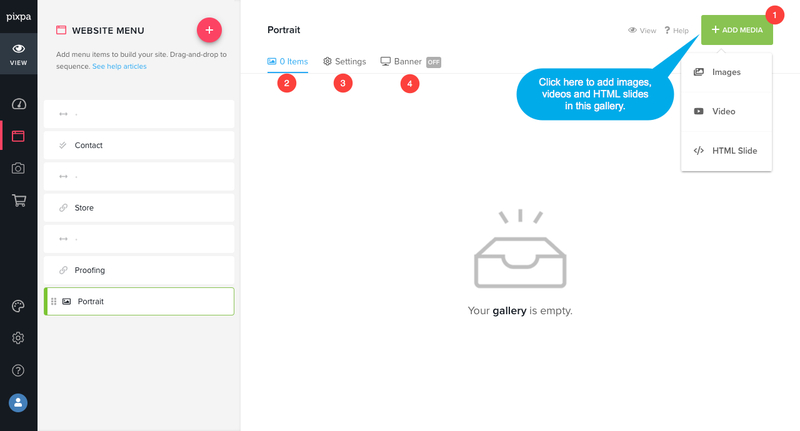 You can manage the visual style of any gallery from here. 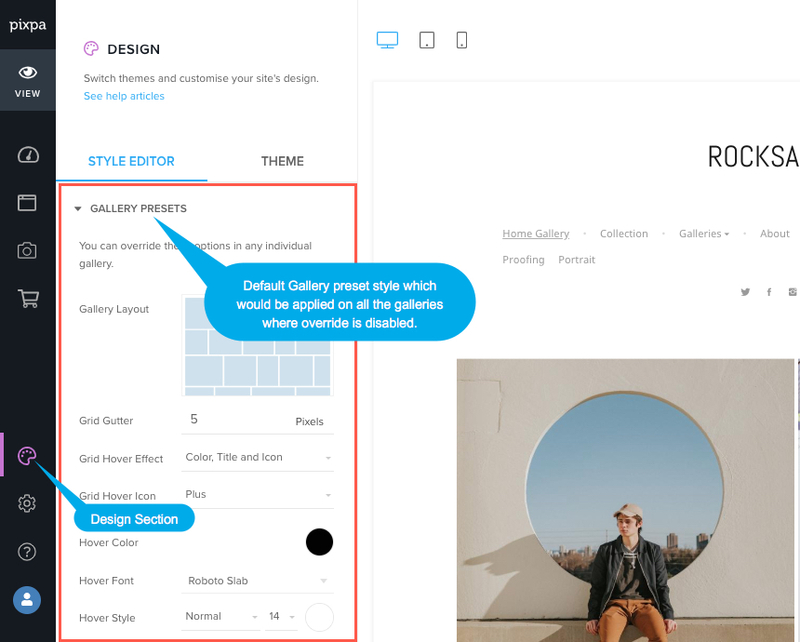 Use Gallery Presets – Enable this to apply the default gallery preset style that is specified in design section. Hover Effect – Hover effect will be used only in grid layout. You can show only color, Color and Title, Color and Icon, Color, Icon and Title on hover in grid mode. Hover Icon – Select the icon for hover on grid mode. Display Options – Specify the layout for full image viewer. You can select from show only images, Image with thumbnails, Image with captions on bottom and Image with captions on right. Controls – Select the full image overlay controls visibility as on hover or always show. Play Slideshow – Enable this to start autoplay slideshow. 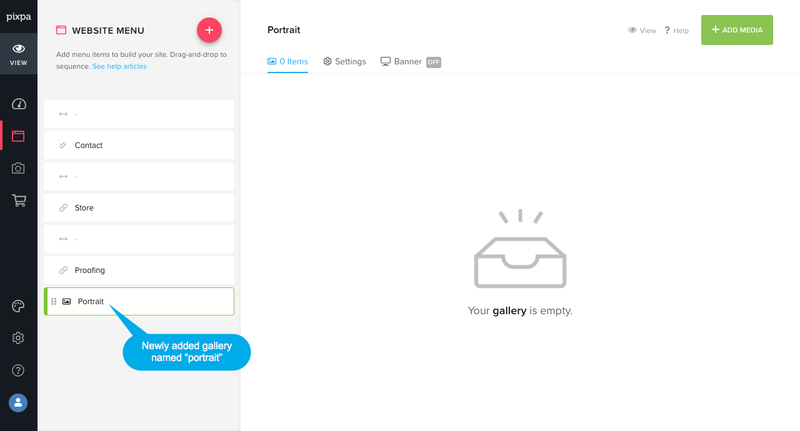 Click here to see how to upload items to your Gallery. Click here to see how to change Gallery layout. Click here to add a Banner.